Looking for that bold Nicaraguan spice with finesse and a more refined approach? Meet VegaFina Nicaragua - this traditionally European brand has set aside their Dominican tobaccos and opted for the soil-rich leafs of Nicaragua for their newest project; one that blends complex delicacies with that signature Nicaraguan spice you've come to love. 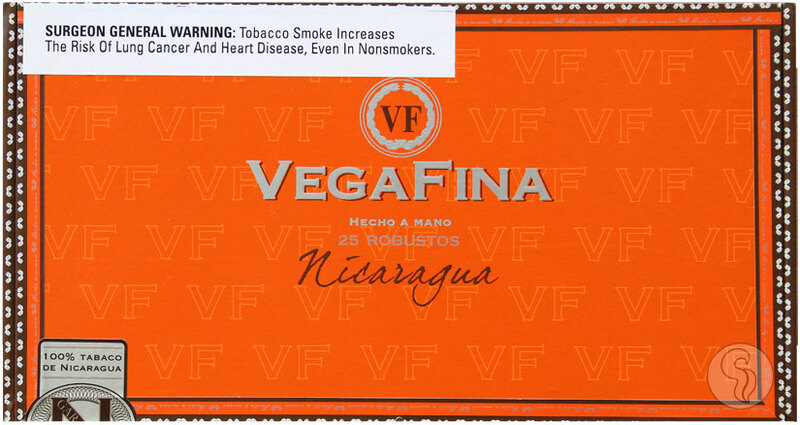 When VegaFina set their sites on Nicaraguan tobacco, they didn't just half-heartedly cap off a Dominican blend with a Nica-wrapper. This is a full-on puro! Concentrating on the Jalapa region of Nicaragua, VegaFina has chosen an ultra-premium wrapper leaf of Habana 2000, as well as a Nicaraguan binder (Jalapa), and fillers from EstelÃ­ and Jalapa. As stated, this is not your typical Nicaraguan; yes, there is pepper-spice and earth, but it's the delicate nuances of cream, dark berries, hay, and coffee that make this a fully-balanced, complex experience.